This is the card we made to donate to a couple of our local Senior Centers this month at our Group Meeting. We're going to bundle a package of 3 (different) cards together in cello bags and cute ribbon - then they're going to use them as door prizes at their Bingo games!! We all had so much fun making these cards!! This card is one that I've been wanting to make for quite some time now.... I was happy to have the opportunity to introduce it to everyone at our Group Meeting... and, I love this color combination - Blackberry Bliss, Mossy Meadow and Crumb Cake!! We start this card with our Blackberry Bliss card base, then added a layer of Whisper White card stock embossed with the Delicate Designs Embossing Folder along the top. Oops - we actually stamped all of the images from the Everything Eleanor stamp set (and the "Thank You" from the Blooming with Kindness stamp set), and THEN we embossed it!! We also fussy-cut one of the flowers using our Paper Snips (perfect for precise cuts!) and popped it up on Dimensionals, then added a Pearl to its center. This next card was our Make-n-Take for this month - I was so excited to give everyone the opportunity to play with this stamp set and coordinating framelits before they are available to customers on August 28!! I have to admit - this stamp set does take a bit of practice.... But the result is stunning!! 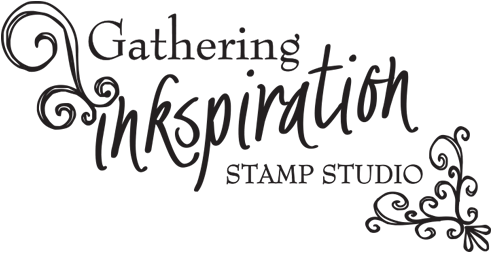 And watching this Stampin' Up You Tube video gave us lots of pointers, too!! For our card, we started with a Naturals Ivory Card base, then added a (3 3/4" x 5") layer of Cherry Cobbler Card Stock, followed by another (3 5/8" x 4 7/8") layer of Naturals Ivory Card Stock. We stamped the wreath (from the Wondrous Wreath stamp set) first in Old Olive ink, then in Mossy Meadow ink. The berries (as well as the sentiment, Happy Wonderful Christmas) were stamped in Cherry Cobbler ink. Next, we die-cut the wreath and the bow using the Wonderful Wreath Framelits Dies. 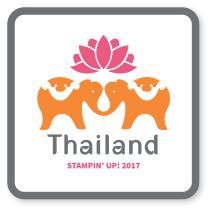 The stamp set and framelits are bundled together for a 15% savings on both items!! Finally, we added a pearl to the center of our Cherry Cobbler ribbon. And there it is... the first Christmas card of the season!! 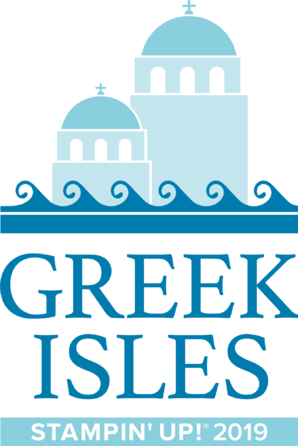 If you'd like to join us at our next Group Meeting, we meet the 3rd Tuesday of each month at 7pm. 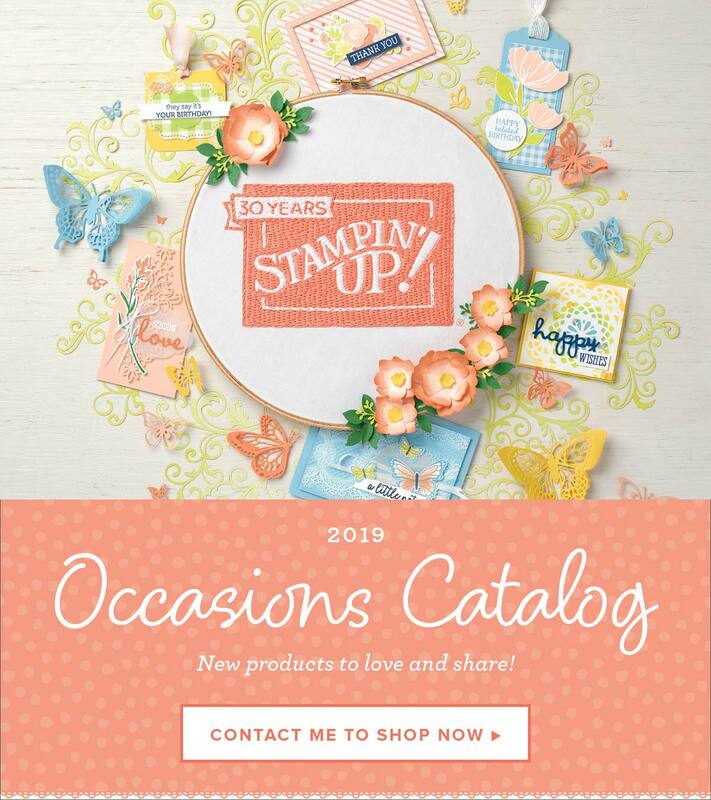 We have a Stampin' Up business talk, show-n-tell time, raffles and drawings, give recognition to our top sellers, make cards for a great cause and just enjoy each others' company!! 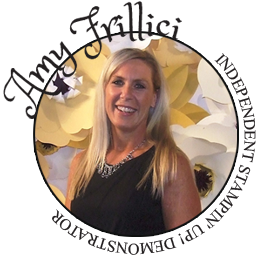 Just RSVP to me at amy.frillici@yahoo.com or (989) 330-0259 to join us at our next Group Meeting on Tuesday, September 16! !